Anytime you receive a moving violation in RI the conviction is likely to increase your insurance and cause points to accrue to your driver’s license. 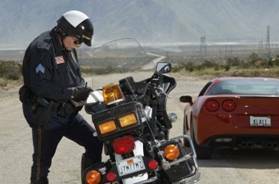 However, being found guilty of a speeding ticket in Rhode Island is particularly problematic because a speeding conviction has an amplifying effect on your insurance rates, points, and suspension of driving privileges. After the cop nails you in Rhode Island, who is on your side? Attack That Ticket RI. That's who.